Winter is a great time to get outdoors with the kids, whether it’s a family ski and snowboarding vacation at one of North America’s top mountain resorts, snowmobiling or snow shoeing on local trails, fun in the snow on a tubing run or seeing wildlife at a national park. Not only is it healthy to take some vacation days and get the whole family away from their screens; it’s also easy to find snow activities to do together, regardless of age, ability level or budget. With our annual directory to fun in the snow – compiled in partnership with Taking the Kids — you’ll see how easy it is to book a value winter vacation coated with memories to keep you warm. After major consolidation in the snow sports industry, the big news is huge gains for season pass holders. While Alterra was buying Crystal Mountain in Washington and Solitude (to complement Deer Valley) in Utah in 2018, Vail Resorts snapped up Okemo and others to round out its Northeast holdings as well as Crested Butte in Colorado. Several other mountain resorts have joined through investments, mergers and marketing deals to enhance Alterra’s Ikon Pass (now 38 resorts) and Vail’s Epic Pass (now 41 resorts) with free lift access and bonus days according to the pass you purchase. The comparatively small Mountain Collective Pass offers two days at up to 17 resorts, still plenty for many families. In other words, if this is your family’s year to go big on snow sports, buy into a season pass and use it at home plus everywhere you travel. In good news for multigenerational groups with non-skiers, off slope experiences continue to expand as resorts work around climate change and diversify their appeal. Luxury on-mountain condos plus facilities such as golf courses, mountain coasters, water parks and ziplines are helping major resorts become four-season destinations. Expect ever expanding spa offerings, a growing locally-sourced food scene, historical museums, theater, music and experiences ranging from dinners reached by sleigh ride to dog sledding and star gazing. Some families like to save by staying at local ski hostels (read about ski hostels here), the ideal budget lodging if you don’t crave a Jacuzzi for apres-ski. Another wallet saver is basing your family at an Airbnb, home exchange or motel that’s close to the slopes, especially in towns like Breckenridge, Colorado and Ogden, Utah that have good public transport. Avid skiers who want to pack in extra runs will prefer ski in/ski out accommodations on the slopes. Keep in mind that this, the most expensive option, won’t work well if you’re traveling with novices who can’t conquer those slopes. As noted, this is the year to get a season pass to your local mountain as long as you can use it while traveling. At many resorts, season passes have become sophisticated smart cards that track every run you’re on, as well as being electronic wallets with RFID tags that can be read without opening your jacket. Many offer additional day lift tickets and special resort meals at a discount too. In terms of ski and snowboard gear, let us share some wisdom. As critical as your gear is, most of it can be rented. If you prefer to travel with your own, keep in mind that expert families usually carry their customized boots and rent the latest model performance skis or snowboards on arrival. (Companies like Ski Butlers and Black Tie Ski Rentals will deliver gear and pick it up right where you are staying, avoiding long lines at rental shops.) In some cases, kids gear is free and with a phone call or text, you can swap it out if conditions change or you want to try something else. If you are coming from warm weather climes and don’t want to invest in ski clothes, a new woman-owned company, Slope Threads, can rent you what you need and deliver free to where you are staying, cutting down on luggage. While it’s super convenient and often comes with an overnight gear locker on-mountain, renting equipment at a mountain’s base village will cost the most. Some families like to save time by pre-ordering rental equipment online, so it’s delivered right to your accommodation and adjusted to fit on the spot. Budget watchers should note that most in-town locations have cheaper deals, and may offer a kids-rent-free package throughout the season for kids 12 and under. Do the math: to rent in town, you’ll also have to a rent a car, so the price may work out the same. January is Learn to Ski and Snowboard Month (LSSM), when U.S. ski and snowboard venues nationwide offer special deals for beginners of all ages who want to take lessons from professional instructors. Vermont, for example, runs a $49 special daily in January except holidays that includes a professional lesson, lift ticket and gear rental. More than 600,000 children and adults have learned through LSSM venues (find this year’s locations here) since the program began in 2009, and you can follow social media for giveaways that include ski gear and merchandise. Several states have programs that introduce snow sports to grade school children free of charge or with minimal fees, to support that next generation of resident snow sports fans. 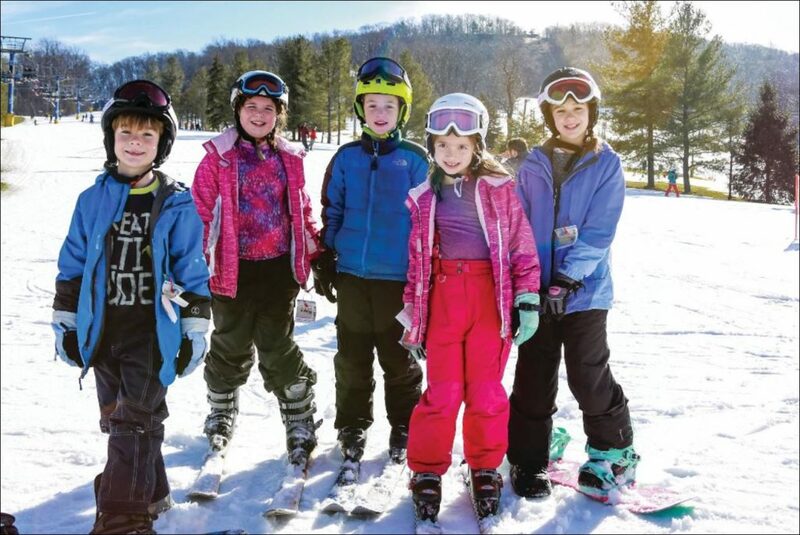 Pennsylvania is one that supports fourth and fifth graders (even out-of-towners) at its 21 member resorts. Check out The Family Travel Forum’s directory of freebies for more information. Don’t let a family member with special needs miss out on an unforgettable winter vacation. There are many adaptive programs around the country for those with physical and mental challenges including the National Sports Center for the Disabled in Winter Park (read about the Adaptive Ski Program program here) and the Breckenridge Outdoor Education Center in Colorado; the National Ability Center in Park City, Utah; Vermont Adaptive Ski and Sports and New England Disabled Sports at Loon Mountain, New Hampshire. There are lots of opportunities for moms and grandmas to learn with friends or just hone their skills at women’s ski clinics around the country. At the same time, a growing number of resorts are offering scheduled women-only classes – a great way to spend a stress-free few hours. ALTA SKI AREA is adjacent to the contemporary, upscale Snowbird but its vibe is a little more natural, with the idea that the experience offered is all about skiing (no snowboarding at Alta). You can purchase a combined Alta Snowbird ticket to ski more than 4,700 acres in Utah’s Little Cottonwood Canyon and stay in one of five traditional, European style Alta lodges where staff will entertain your kids after ski school and feed them early. Each have a great dining room (breakfast and dinner are all part of the room package) and a cozy bar scene that draw many repeat visitors. Lift ticket prices are priced competitively and the three base area rope tows (Grizzly tow, Snowpine lift and Alta Lodge tow) are free all day so beginners can save, too. Don’t miss the spas at Snowbird and Alta’s Rustler Lodge and Alta’s Snowpine Lodge. 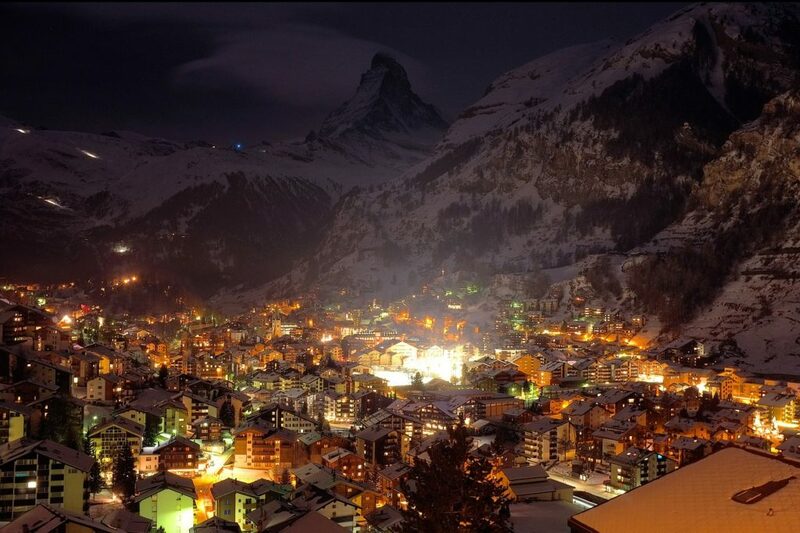 Read more about this haven for ski bummers and holdout against snowboarders here. APPALACHIAN MOUNTAIN CLUB in the White Mountains of New Hampshire provides hundreds of miles of trails to hike or snowshoe, plus guided custom adventures at both AMC’s Joe Dodge Lodge at Pinkham Notch and Highland Center Lodge at Crawford Notch. 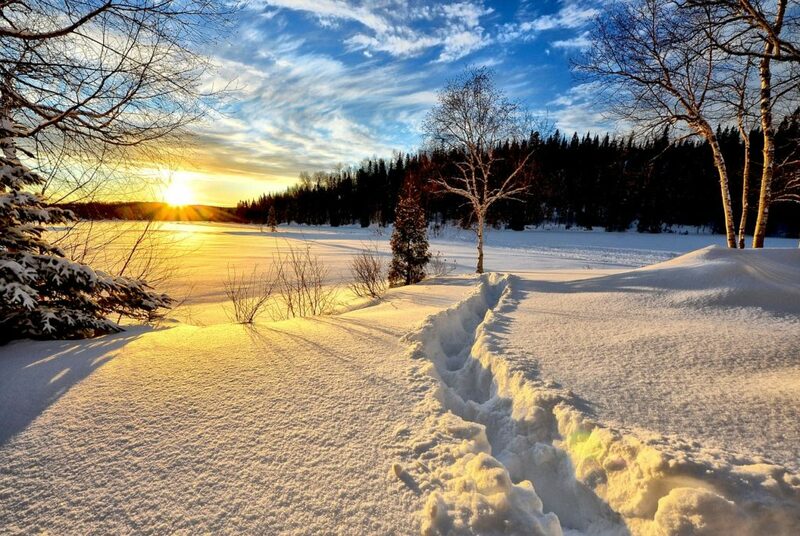 The AMC’s 100-square-mile wilderness in Maine can be toured via groomed, backcountry ski trails on day trips. Many families enjoy trying to ski between rustic lodges and private cabins, where home-cooked meals are served to overnight guests. Read about a weekend getaway to an AMC club here. ASPEN SNOWMASS has a long, rich history as a mining town and cultural mecca, even before it struck gold with Hollywood celebrities and international athletes drawn to its pristine terrain, gourmet restaurants and shops, world-class hotels and annual X-Games thrills. This four-mountain resort headquartered in Aspen, Colorado offers plenty of terrain options for skiers and riders of all abilities. Nearby Snowmass, by far the largest of the four mountains, has long been rated one of the best family ski areas in North America because of its wide-open, groomed cruising and family-friendly activities. Don’t miss dash-through-the-woods fun for kids on the Breathtaker Coaster, part of the greater Lost Forest that debuted summer 2018 with the upgraded base village. Aspen Mountain, with its famous black-diamond terrain for experts, promises a variety of glades, bumps and steeps; Aspen Highlands offers experienced skiers/riders the opportunity to test their ability in the massive Highland Bowl while still taking advantage of rolling blue trails for the more casual run down the slopes. Buttermilk has the Hideout children’s center, as well as a 22-foot super pipe. This pricey region does have some offers if you book their lodging: if you rent equipment for ages 7-12 from Four Mountain Sports, they get a free lift ticket for each day; valid January 1-April 21, 2019 when booked by the 15th of the month, at least one month prior to arrival. Read about The Snowmass Mastodon discovery here. BEAVER CREEK, Colorado is a favorite of well-heeled families because it’s smaller than Vail, while offering that resort’s first-class service and terrific ski school. Families appreciate extra little touches such as fresh-baked cookies served daily at 3pm throughout the pedestrian base village, and at the base of Centennial Express and Haymeadow Express Gondola (#1) – the dedicated children’s ski school gondola serving the learning area. In addition to on-site ice skating, casual dining options, and fireworks, families will enjoy the vintage Ice Cream Parlour located at The Ranch where kids and adults alike can delight in sweet treats and house-made hot chocolate. Families will find terrific spas at the Beaver Creek hotels (the Park Hyatt Beaver Creek and the Ritz Carlton Bachelor Gulch) and can opt up to join the private White Carpet Club, a concierge-led lounge with snacks and ski lockers. Offered on Tuesday and Wednesday evenings each week, and select Saturday evenings during the season, Allie’s Cabin Family Dinners welcome guests to savor gourmet fare which caters exclusively to children and families. Guests are whisked to the cabin via an open-air sleigh, welcomed with cozy lodge slippers, and treated to a three-course dinner or a children’s buffet (for children 12 and under), by a floor-to-ceiling stone fireplace. There’s extra family programming to celebrate the holiday spirit during Beaver Creek Extraordinaire presents Cheer (Dec. 22, 2018 – Jan. 5, 2019). Eileen Ogintz’ visit is chronicled here. BIG SKY RESORT merged with nearby Moonlight Basin Montana to offer one of the biggest ski and ride terrains in the US and, by grooming more glades, they now offer 5,800 skiable acres and endless ways to navigate 4,350 feet of vertical drop with rarely another skier in sight. Runs up to 6 miles long, glades and bowls, seven terrain parks ranging from novice to big air, all covered in 400+ inches of annual snowfall make a day on the slopes something different for everyone. Off slope adventures suited to teens include a giant swing, bungee trampoline, climbing wall and nearby, some night tubing, guided snowshoes tours, a challenging high ropes course and zipline tours. Not too far from the resort, families can snowmobile or snowcoach through Yellowstone National Park (read about TakingtheKids’ visit in to Yellowstone in Winter here), try Nordic skiing or horse-drawn sleigh rides through Lone Mountain Ranch, and test their skills at winter fly fishing, rock and ice climbing throughout the Gallatin Valley. BRECKENRIDGE SKI RESORT is set in the middle of a historic Colorado town of the same name, where heated sidewalks make it easy to stroll for hours past more than 200 restaurants, shops and après ski hangouts. Around the town are off-slope activities such as dogsledding, winter zip lining and larger-than-life snow sculptures during the annual International Snow Sculpture Championships (Jan. 21-30, 2019). Over the past five years the resort has made major on-mountain investments across all Five Peaks, from the addition of more than 500 acres with the opening of Peak 6 in 2013 to the opening of an upgraded 6-passenger Falcon SuperChair on Peak 10 just last season. Guests with a sweet tooth will welcome the Candy Corner to Breck’s Ten Mile Station, offering an array of your favorite chocolates and sweets. What the Yemma family loves about Breck on or off the slopes can be read here. CLUB MED SKI Take your pick of more than 20 ski resorts in Europe and Asia, many family-oriented, with the pioneer of all-inclusive vacations. At Club Med, everything from lift tickets to instruction at age and ability-appropriate levels, excellent meals, drinks and a variety of winter sports like snowshoeing and tobogganing are included in rates to make vacations easier. Club Med’s all-new, all-inclusive ski resort, Les Arcs Panorama, located in the Paradiski domain in the Savoie region of France, will open December 2018 with supervised kids’ clubs for ages 4 to 17 years and snow sport lessons for ages 4 and older included in rates. (Gear rentals are extra.) Club Med’s first-ever resort in Canada is scheduled to open in 2020 in Quebec’s Le Massif de Charlevoix ski region. Look for special offers that include significant discounts for kids. COPPER MOUNTAIN features naturally divided terrain for all ages and abilities. Located just 75 miles west of Denver, in the heart of the Rocky Mountains, Copper Mountain Resort has three pedestrian-friendly village areas with lodging, retail outlet, restaurants, bars and family activities. Families can take advantage of world class skiing and riding, free Snowcat rides to Tucker Mountain and more winter activities. Woodward Copper is a year-round action sports training facility with progression-focused programming. Offering winter lessons and week-long summer camps, Woodward at Copper exclusively features the Barn, a 19,400-square-foot indoor playground with Skatelite jumps into foam pits, a pump track, multiple skate areas, six Olympic fly-bed trampolines, and a 16’ x 16’ Super Trampoline. Check out the Lesson Four Pack from Copper Mountain’s Ski and Ride School and Start with Woodward Lessons for your Olympics-bound family members. DEER VALLEY in Park City, Utah, has won every top award for excellent service and on-mountain experience. Now owned by Alterra Mountain company, skiers can look forward to using the new Ikon Pass and Ikon Base Pass (seven and five days respectively) for free entry. Deer Valley Resort limits the number of daily lift tickets sold guarantees no lift lines. You’ll find plenty of great terrain, ski valets, perfect service and gourmet meals. Real estate investments continue. The legendary Stein Erkisen Lodge, a multigenerational favorite, is Utah’s only five-star hotel and spa. The recent $14 million expansion means a new family pool, huge center with 56-seat movie theater (they schedule special family movie nights), 54 very luxurious residential units plus another 140 rooms mid-mountain at The Chateaux Deer Valley. Don’t miss a visit to Park City’s Historic Main Street with its great shops and restaurants; you can even ask your kids to hunt for the Banksy mural on the side of an ice cream shop. NOTE: Deer Valley is one of the very last ski areas to say “NO” to snowboarders. Read about it here. GRAND TARGHEE in Idaho is only 50 miles from Jackson Hole, Wyoming but it’s worlds away in style and ease of access. Families love the moderate rates, friendly staff and tender daycare for infants and toddlers 2 months to 5 years. It’s hard to get lost in the compact base village no matter your age; on-mountain lodging is very casual and reasonably priced. Not so small, Targhee boasts 2,602 acres of fine terrain and a whopping 500” annually of fresh powder, guaranteeing great conditions almost all season. With plenty of Snowcat-served terrain, experts in the family will stay busy knowing their little ones are well cared for. And note that under-5s always ski free. A review can be found here. HOLIDAY VALLEY may be a surprise to you, because most families don’t realize that New York State has several ski resorts and a dedicated website, ISkiNY.com. One of the most popular and best values is Holiday Valley in tiny Ellicottville, almost equidistant to Buffalo, Cleveland and Pittsburgh. Families like the historic small-town ambiance where strolling past antique shops and cafes is the favorite apres-ski pastime. On mountain, there are friendly instructors and cool trails marked with “treasures” from the local Seneca Nation that highlight the history of Native Americans in the region. Discounts include bargain weekday packages Feb.3 to Mar. 14, 2019 and family of four housing deals. JACKSON HOLE in Wyoming, operating for over 50 years, offers non-stop airlift from 12 major cities and a full calendar of special events. Special deals include Kids 14 and Under Ski and Rent Free, which gives families 10% off on Jackson Hole Resort Lodging and free kids lift tickets with a minimum 4-night stay; valid through April 7, 2019 with some blackout dates. The Mountain Sports School at JHMR guarantees that beginners will be able to ski after only one lesson (repeat lessons free) and their brand-new Solitude Station and Kids Ranch offer age-appropriate activities and lessons for ages 6-months to 17-years. Take the free Mountain Host tour of JHMR’s 2,500 acres (there’s 5,000 acres of backcountry) to find groomers, deep fresh powder or your preferred terrain. Snowboarders can learn at four Burton Stash Parks with natural terrain-like features, or at beginner and expert terrain parks. In addition to the great skiing and snowboarding in Teton Village, families like the authentically “cowboy” town of Jackson, and the National Elk Refuge, Yellowstone and Grand Teton National Parks nearby, which offer unparalleled opportunities to see wildlife in the winter. KEYSTONE RESORT, recognized as a top family resort destination, is located in Summit County, Colorado and just 75 miles from Denver. Families find more than 3,000 acres of skiable terrain including three peaks, five above-tree-line bowls, night skiing and an in-bounds cat skiing program. Home to the industry’s leading Kids Ski Free offer, kids 12 and younger can ski and ride for free all season long with just two or more nights of lodging booked through the resort, no blackout dates. New this season, Keystone Resort lodging guests can receive exclusive early lift access one full hour before the lifts open, granting them first dibs to the slopes. Keystone’s signature Kidtopia programming elevates any visit with a variety of free, daily family offerings throughout the winter season, such as arts and crafts events, scavenger hunts, a parade and fireworks, and the world’s largest Snow Fort. We love the free designated family parking and complimentary red wagons to help parents tote gear (and excited kiddos) to and from the slopes, because they really help make a winter family visit to Keystone easy and hassle-free. Read more about Keystone here. MAMMOTH MOUNTAIN is California’s highest resort, topping out at just over 11,000 feet, with more than 150 trails and 3,100 feet of vertical. Their new season pass, the Ikon Pass, is handy for families wanting to ski California because in addition to destinations around the world, it covers entry to Squaw Valley Alpine Meadows and Big Bear Mountain Resort. Sharing the scenic beauty of nearby Yosemite National Park (hard to reach during the winter snows), Mammoth has dedicated learning centers for kids and myriad off-slope activities including tubing, snowmobiling, cross-country skiing and snowshoeing. At Woolly’s Tube Park and Snow Play, families with young kids can build a snowman and enjoy playing in the snow. 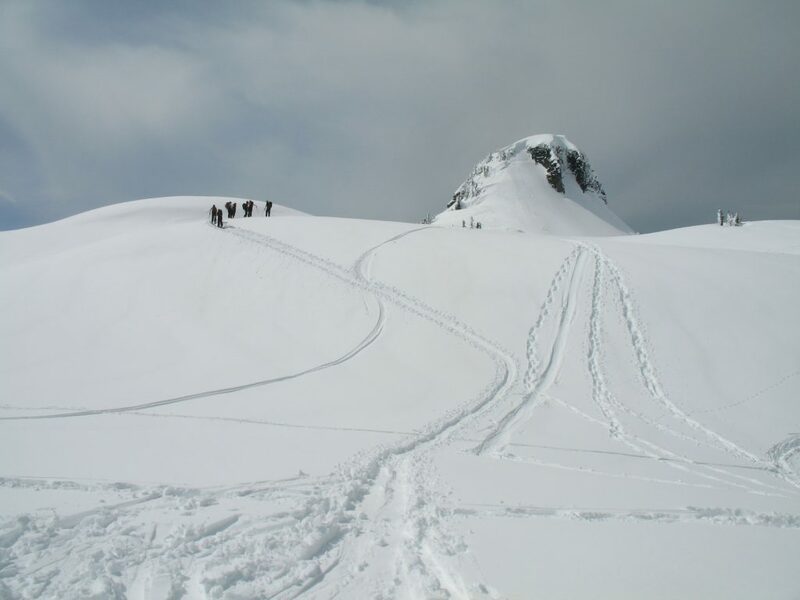 New this season are Intro to Backcountry Clinics, a safe way to give touring a try, and Side Country Tours, which provide a three-hour backcountry refresher. Even in drought, Mammoth gets a decent snowpack – read about a visit there the dry year of 2014 here. MT. BACHELOR is 20 miles west of the very hip town of Bend, Oregon and, with 4,318 acres of skiable terrain, is the 6th largest ski and snowboard area in the United States. Mt. Bachelor’s newest chairlift, Cloudchaser, opened in December 2016, adding 635 acres of new terrain and 14 new runs across the mountain’s weather-protected east side. As the tallest in the Cascades with a lift-served summit of 9,068 feet, Mt. Bachelor receives an average of 462 inches of light, dry powder each year, creating among the most reliable snow packs in North America. Moreover, the snow riding season typically lasts from Thanksgiving through Memorial Day weekend. More to read about Mt. Bachelor here. MOUNT SNOW RESORT in Vermont is a family-friendly resort with a trail system that keeps the entire family together whether they’re racing down the largely intermediate terrain or exploring Carinthia, whose 100 acres of terrain parks have obstacles like rails, jumps, creative lines, tree-skiing zone, and Mount Snow’s monster superpipe. Young riders and skiers will appreciate the tubing park for afternoon fun. This season, Mount Snow opened its new Carinthia Base Lodge, much bigger than the original and complete with a restaurant, bars, made-to-order food stations, and a one-stop-shop for skiers and snowboarders. Check their site for specials such as early season Ski & Stay packages that begin at $150/night per person, Founder’s Day ticket specials on December 14, and Kids Ski & Learn Free Week. 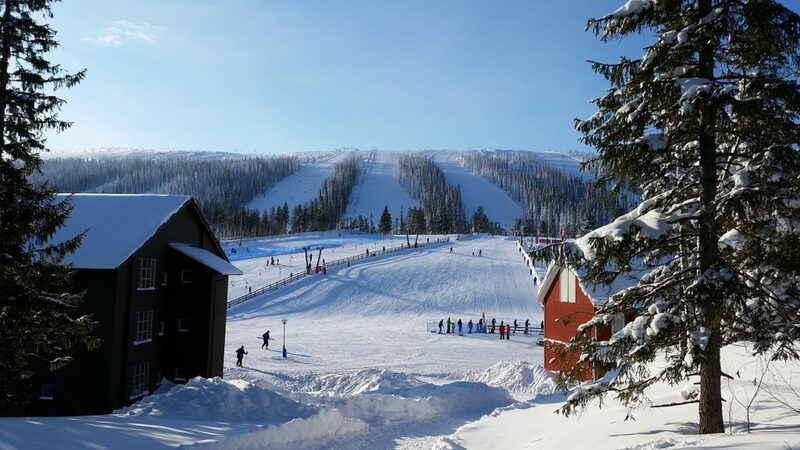 NORTHSTAR CALIFORNIA RESORT, located in the historic logging town of Truckee, California, is a quick 45-minute drive from the Reno-Tahoe International Airport. The most family-oriented among the many Lake Tahoe area resorts, Northstar California has 3,170 acres of skiing and riding featuring award-winning progressive terrain parks, including the Riglet Park for snowboarders 4 to 6-years-old. Already home to the only Burton Snowboard Academy, they’ve added two new Northstar Kids Adventure Zones with features that tie into the local history and wildlife so families can explore together. Kids and kids-at-heart are invited to enjoy the 9,000-square-foot ice skating rink, surrounded by cabanas and fire pits for relaxing, roasting s’mores and telling stories about mountain adventures in the heart of the pedestrian Village at Northstar. OKEMO, located in southern Vermont with easy access from Boston, New York and other East Coast points, is an upscale family-focused choice with two high-speed chairlifts with a retractable dome and heated seats. We love this mountain’s policy of allowing beginners to use carpet lifts free all season long, and they allow children 6 and under to ski or ride free if you ask at the ticket window with your child present. Okemo also has plenty of other snow fun options, such as tubing, ice skating, kid-sized snowmobile rides, swimming, an alpine coaster, in addition to posh base camp lodging and rec facilities. Just purchased by Vail Resorts, we look forward to its 2019 facility upgrades. Read more about a visit to Okemo here. PENNSYLVANIA makes it easy for young beginners to use the SkiPA Snowpass at all member resorts to ski free. Celebrating its 15th anniversary this season, the Snowpass program provides every fourth and fifth grader the opportunity to ski or snowboard for free, up to three times at 21 participating Pennsylvania Ski Area Association resorts, when accompanied by a paying adult. Details of the program including black-out dates, useful tips and tricks, and first-timer stories can be found on the SkiPA website which also lists other current deals, bargain tips and a downloadable $5 off coupon for adults. Or, sign up for the whole family for the First Time Skier/Snowboarder package, which provides up to five vouchers for a beginner group lesson, rental equipment and beginner lift access at participating Pennsylvania ski areas for just $59 each (some blackout dates apply.) The statewide member mountains – all affordable — range from small local places to major four-season, Pocono mountain resorts like Camelback, so families can pick between small town charm and indoor water parks, or mix the two, for apres-ski fun. SKI COOPER is a special resort just a half hour and a world away from Vail and Breckenridge — and a much less expensive option too with lift tickets less than half the cost at the neighboring big resorts. Just outside of high-altitude Leadville, this resort has 39 trails and four lifts spanning 400 lift-served acres. Families like it here because there are no lift lines and no crowds. In addition to small ski school classes, there’s a long magic carpet — 800 feet — that tows beginners up a very gentle learning slope. The base is at 10,500 feet; the summit at 11,700 feet so there’s no need to make snow, but it’s also not for family members who suffer from altitude sickness. However, this is where the 10th Mountain Division trained during World War II; after the war, the ski area was taken over by Lake County, which makes it different from most ski resorts, as it is a non-profit. Expert skiers, if conditions permit, can go Cat Skiing at the top of the Continental Divide where you are taken up the mountain via a snow cat. We visited Ski Cooper on a blue sky day. Read about it here. SMUGGLERS’ NOTCH in northern Vermont is Ski Magazine’s pick for families in the northeast, because it’s known for its award-winning children’s facilities (including infant care) and off-the-slope activities including a zip line canopy tour. Snow Sport University provides expert instruction for children and adults in skiing, snowboarding, and snowshoeing with 1,000 acres of all terrain access across three mountains. Conveniently located on the Green in the center of the resort Village, a new learning area for children ages 3-6 will accelerate skills development with sculpted snow features like a 100-foot mini halfpipe, rollers, banked turns and obstacle courses in a Burton Riglet Park for young snowboarders. Club Smugglers’ ski and stay packages include lift tickets, lodging, access to the brand new FunZone 2.0, use of the indoor pool and hot tubs, cross country and snowshoe gear, daytime and evening tubing and more and, during the weeks of Dec. 16-21, Jan. 13-18, Feb. 3-8, and March 3-8, any guest who has booked a Club Smugglers’ package will be offered free lessons and rentals for kids 12 and under! The Winter Experience package that includes a variety of indoor and outdoor activities is ideal for families seeking a winter wonderland experience without skiing or snowboarding. More to read about winter deals at Smuggs here. SQUAW VALLEY ALPINE MEADOWS is one of the North America’s largest ski resorts with 6,000 skiable acres. Host to the 1960 Winter Olympics it’s popular for its beautiful views of Lake Tahoe, California. With easy access from Reno-Tahoe International Airport, guests can get their first day’s lift ticket free by presenting a boarding pass and matching photo ID at the resort’s ticket office. All U.S. active duty military can also save big by taking advantage of the resort’s restricted Tahoe Super Pass, available with a $50 donation to the Military to a designated military charity. Skiers and riders of all ability levels are welcomed by over 65 percent beginner and intermediate terrain, 14 easy-to-navigate mountain zones and a custom app to make the most of every visit. This lively resort features upscale slopeside lodging at The Village at Squaw Valley, nonstop events and over 50 bars, restaurants and boutiques plus access to many other Tahoe activities. With an annual average of 450 inches of snowfall and 300 sunny California days, Squaw Valley Alpine Meadows is also the self-styled Spring Skiing Capital, and opens its outdoor mid-mountain pool (8,200 feet in altitude) each spring to mark one of the longest ski and snowboard seasons in Lake Tahoe. Read more here. STEAMBOAT, Colorado is recognized as a top family ski resort thanks to its Wild West themed play area, well-trained children’s staff at the Kids Vacation Center, five kids-only lifts and two beginner teaching areas with special Magic Carpets. More advanced kids access the entire mountain, including kids-only terrain at Rough Rider Basin, complete with dedicated lift plus teepees and a frontier-style fort, as well as special Billy Kidd Race Camps held throughout the winter. Steamboat, now in partnership with Alterra, just opened the Outlaw Mountain coaster, which offers a bird’s eye view of the resort and a great break from the slopes. The resort’s adaptive programs and camps are designed for ages 5+. Since it has the ambiance of an authentic Western town and The Old Town Hot Springs pool and slides, there’s just as much to do off the mountain as on, making it a good choice for the family with mixed interests. And if you want to relax, ride horses, go snow-shoeing or X-country skiing, and dine on great food, check out nearby Vista Verde Ranch. Read about our most recent visit here. STRATTON MOUNTAIN is a favorite for East Coast families for its tree-lined, well-groomed slopes and pedestrian base village — there’s no need to bring out the car. Learners are accommodated in their own area and can access the scenic, 3-mile-long EZ Street green run that all ability levels can take together. Kids love the tubing hill and, when they’re 6 or older, they can drive a mini snowmobile in the Sun Bowl Base Area. There’s childcare for ages 6 weeks and older, full day ski and snowboard instruction programs, fitness center with indoor salt water pool, snow fun from snowshoes to inner tubes, fireside yoga, dinners by Snowcat mid-mountain. Stratton also offers big-mountain skiing and riding from the summit of southern Vermont’s highest peak. With a range of accommodations, check out deals, packages and 40 percent discounts for the weeks before Christmas. Read about a weekend getaway to Stratton here. SUGARBUSH There’s nothing prettier than winter to show off the privately owned Sugarbush resort and scenic, small town base village in the Mad River Valley of Vermont. Sugarbush is celebrating its 60th Anniversary this year with many events including a Hall of Fame Weekend, March Madness series of spring events, a music series, and more. Beyond skiing, there are several snowshoe trails and Sunset Groomer Rides in the Lincoln Limo Cabin Cat that to see the views without taking a chairlift. After a day on the mountain, settle into the slopeside family apartments at the classy, barn-like Clay Brook, where you can cook and dine “at home” after their concierge has stocked your refrigerator as requested. SUN VALLEY has been the crowning jewel of Idaho since 1936 and it’s still going strong – with extensive if somewhat nostalgic renovations at the jetsetters’ Sun Valley Lodge and posh boutique hotels opening in nearby Ketchum. Sun Valley’s highly regarded ski and snowboard instruction (ski classes begin at ages 4 , snowboarding at age 6) uses contoured terrain that helps kids learn. Facilities on Dollar Mountain are tailored to young needs, too, and the computerized snowmaking guarantees quality powder when slopes become worn from overuse. Sun Valley is served non-stop during winter from six major cities. SUNDAY RIVER in Maine boasts a 59-year history, eight interconnected peaks, 12-hour skiing and riding Fridays, Saturdays and select holidays, a tubing park, fireworks most weekends and holidays, and family-friendly entertainment for the little ones. Many families come to Sunday River because of the SnowSports School manned by friendly local staff. Bring the kids during a Kids Ski Free Week, January 1-4, January 7-11, and March 25-29, when ages 4-12 can ski, snowboard, and stay for free when staying three nights or longer with an adult. As a bonus, during the annual Children’s Festival Week (Jan. 7-11, 2019), you’ll find fireworks, tubing, nighttime fun, and dinners with Eddy the Yeti. Read more about a visit to Sunday River here. TAOS SKI VALLEY, recently voted USA Today’s Readers’ Best Ski Town and home to one of North America’s highest lifts, is the best known among New Mexico’s eight alpine and three Nordic ski areas. Altitude assures it is typically blanketed with 300 inches of snow each season. In recent years, new owners have greatly upgraded its facilities, on-mountain experience and four season offerings, starting with The Blake, a stylish 80-room hotel at the base area, and a new state-of-the-art Children’s Center that makes skiing with kids easier than ever. As the only B Corp ski resort in the world, Taos is leading the entire skiing community with its commitment to sustainability, local and fair economic development, and social justice. More about Taos’ makeover here. TELLURIDE, a tiny southwestern Colorado mountain town, is a favorite snow sports destination because of its century-old architecture, free pedestrian-friendly gondola between resort and town, and striking mountain views in every direction. It’s also an easy ski resort to navigate, since the ski school is right next to the gondola in the middle of the Mountain Village. 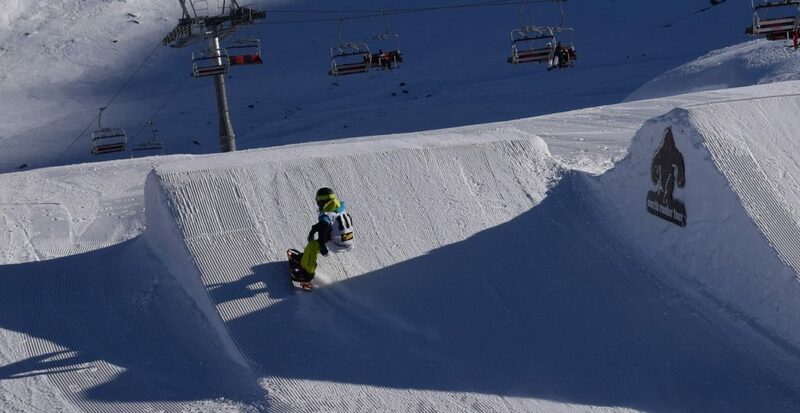 More than 60 percent of the terrain is for beginners and intermediates, with at least one blue run from every lift, making it a perfect mountain for groups with different abilities. Repeat guests appreciate that the vast majority of instructors are veterans who remember their kids from previous visits. Backcountry fans love Black Iron Bowl, a hike-to playground set against the dramatic backdrop of Palmyra Peak, which encompasses eight runs, European-style faces, open glades and steep chutes. Skiing down the “Galloping Goose,” it hit Chris Yemma — Telluride has something for everyone, even the 1 percent A-listers. Read his review here. VAIL thinks big; the flagship Colorado mountain of this snow sports empire has more than 5,200 skiable acres including the seven famous Back Bowls spanning 7 miles. Add high-touch service to a terrific ski school, a slew of on-mountain lift upgrades, intermediate and expert moguls, tree skiing and even some cliffs, to see how quality rules. Don’t let the size of the resort intimidate you. Vail offers a variety of complimentary mountain tours to introduce you to its legendary terrain. The multi-lane tubing hill at Adventure Ridge, ski biking, and the Forest Flyer alpine coaster are as popular as ever. Families can try the 50-foot-long, ski-through Coyote’s Den cave, checkout the teepee in Sherwood Forest and join the Nature Discovery Center at Eagle’s Nest for frequent nature walks, snowshoe tours and programs led by naturalists. To save, the resort is offering a variety of programs for kids and adults, Family Private Lessons to learn and experience the mountain together, and online lift tickets that can be purchased up to 24 hours in advance for a 25% discount off the walk-up window rate. Plus, with an array of pass options, it is possible for early planners to ski at Vail for less than $65 a day. On a Blue Bird Day there are no more spectacular views than from Vail’s back bowls. Read about it here. WHISTLER BLACKCOMB, towering over British Columbia a few hours north of Vancouver, is the first Canadian resort to join the Vail Resorts family. Perhaps best known as the official alpine skiing venue for the 2010 Olympic and Paralympics Winter Games, it has two side-by-side mountains connected by the long, scenic traversing Peak2Peak Gondola and 200 marked runs, 8,171 acres of terrain, 16 alpine bowls, and three glaciers that enable late spring visitors to ski in the morning and golf in the afternoon. 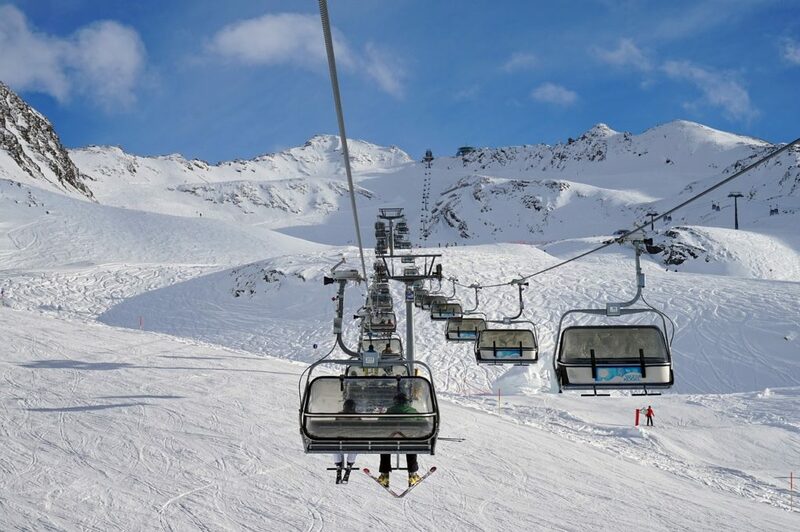 This year, Whistler Blackcomb is unveiling a new 10-passenger Blackcomb Gondola connecting the base of Blackcomb Mountain to the top of the mountain adjacent to Rendezvous Lodge and the existing PEAK 2 PEAK Gondola. Families will enjoy the kid-centric Kidtopia programming, such as a Magic Castle and Snow Fort with sculpted slides, dog sledding, ziplining, and, on Sunday nights, a live “Fire & Ice” show with ski acrobatics and dramatic special effects. Early season boasts both abundant snowfall and discounted vacation packages, while late season boasts afternoon golf. Read more on Whistler Blackcomb here. WHITEFISH offers great snow sports plus an Old West style town in Montana, and it’s one of the few top resorts served by train – Amtrak hits the historic Whitefish Depot twice daily in winter. This resort is also just 15 minutes from Glacier Park International Airport, so you can fit in some National Parks touring on those off-the-slopes days. While Big Sky is better known, Whitefish attracts families with its excellent snowmaking and terrain. Rates are reasonable too – there are good two-day, first-timer packages for ages 7 and older and if you graduate – your family will want to stay at least 4 days, trust us – you can take 50% off of lift tickets, lessons and rentals for the duration of your stay. Wherever you see ads, images or videos within this special Family Travel Consulting travel section, the advertising and custom content has been brought to you by our sponsors. All other content and opinions are based upon the authors’ actual travel experience and knowledge.